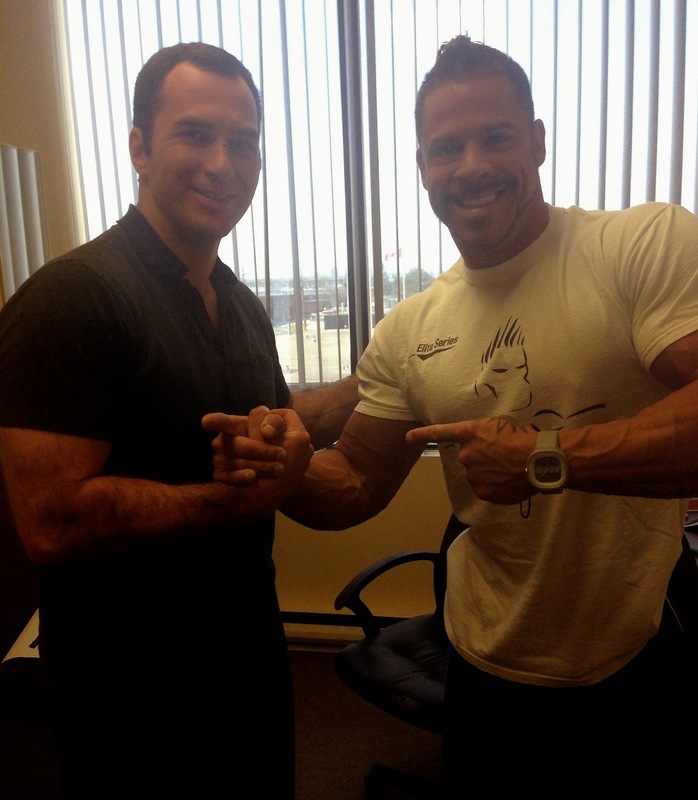 Meet Nicholas Koebel, Canadian bodybuilder and all around great guy. 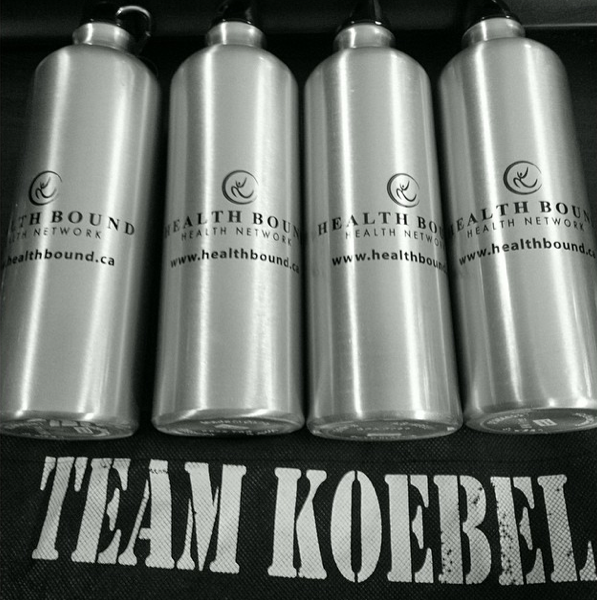 The Health Bound team is proud to be supporting #TeamKoebel as he works his way back from a major injury and comes closer and closer to meeting his professional goals! As we gear up for a major competition at the end of the month, we thought it would be great to share some insight into the preparation and motivation that drives this inspirational athlete. with Nicholas after one of their therapy sessions at Health Bound. What is the most challenging task of getting ready for competition? 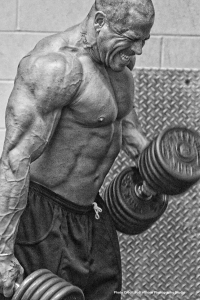 When one thinks of getting involved in this industry and sport and taking on the role and mindset of a bodybuilding competitor, there are many factors and things that one has to sort through if they want to be their best. Prepping for a show is a team effort and without the proper supports and team behind you, so many things can go wrong. What people don't see are all of the little details that are essential into making your prep the best and run smoothly. The team has to work together and fit like a puzzle. If one thing is off or left out, the effects can be huge on the competitor. There is the need for constant communication and coordination of times and schedules, figuring out who is driving, what gym, what foods to buy and who will go get it, getting all of the forms and essentials for the show done, making sure all the meals are cooked and prepped and set so all you have to do is eat. In my situation, it was Tina [Nicholas' Manager] and Issa [Nicholas' Trainer] making sure that all I had to do was eat, sleep, train and go to rehab and the rest the two of them worked out with each other so that I did not have to stress or worry about a thing. There were the days of Issa driving me to the gym and Tina taking me home, or Issa coming to my place to check out how I was dialing in and Tina bringing me food at certain times the last few days that were critical to eat at specific times. Making sure I had my suit, music, that my legs were up when waiting at the show, that even small things like cleaning up or helping organize were done so I didn't ruin the tan. It was also getting used to the intensity of the 2 a days and rehab...but working through that pain or discomfort and giving it my all each and every time because coach would not accept anything less than 1000%. The diet and training are the easy parts, it is dealing with the mental and emotional aspects on top of everything else that make prep hard. How do you mentally prepare on the morning of a competition? As with any sport, in order to get or become mentally prepared you have to be willing and able to zone in and block everything out. This is the point of the journey that can be the hardest in the sense that you are overwhelmed with mixed emotions and you have to be able to block out the negative and focus on staying positive and confident. It is about going over the poses and routine in your head, it is about feeling confident with yourself and know that you gave it your all in prep and now it is your time to prove it. It is not about being cocky or trying to socialize with fans or supporters who are contacting you through social media or at the show - it is giving 100% to you and your performance. The morning of a show should be as relaxing and stress free as possible. No one and nothing should matter at that point other than you and what your coach has to say or do with you. You have worked to hard, you and your team to get to this point to then have someone interfere with your ultimate goal and dream. What do you eat on competition day? On competition day, the meals and food you eat will vary from coach to coach and trainer to trainer. Each has their own belief and thought on how show day meals should be done and why. Backstage you will see everything from wine, rice cakes, peanut butter, jam, honey, chocolate bars to Gatorade. To be fair and respectful of my coach and his approach, I will keep that to myself. Sorry...can't give away all the secrets. The best part of competing is just the whole process and being on that stage. From the 5am training sessions and then coming back at it for 5pm, the cardio, posing and diet, everything is the best part to me. I'm getting an opportunity to live my dream with my team's support and them believing in my potential to reach the goals and succeed. Want to keep up with #TeamKoebel? Head to social media! Nice article i believe an physical therapy evaluation is often the first step in the sports rehabilitation process. 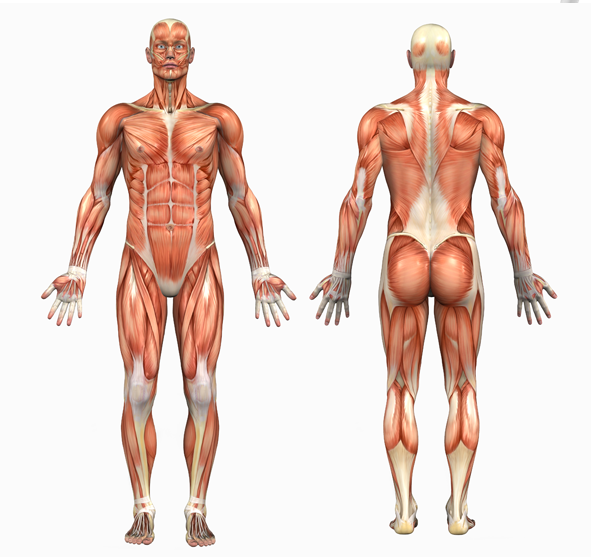 This assessment identifies areas of deficit, including range of motion, strength, and functional abilities.